Fairview is a busy suburb of Dublin city just 1.5km to Connolly station 2km from the River Liffey. 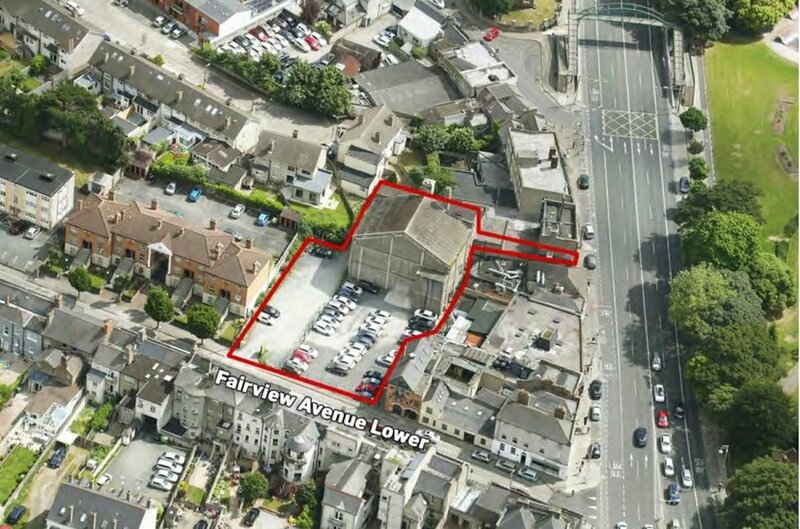 The site is ideal for a mixed use or residential development given the popularity of Fairview for both convenience and general retailing as well as services and residential lettings. There is an abundance of local facilities and busy parades with shops, bars and restaurants all enjoying high footfalls from the adjoining residential areas. 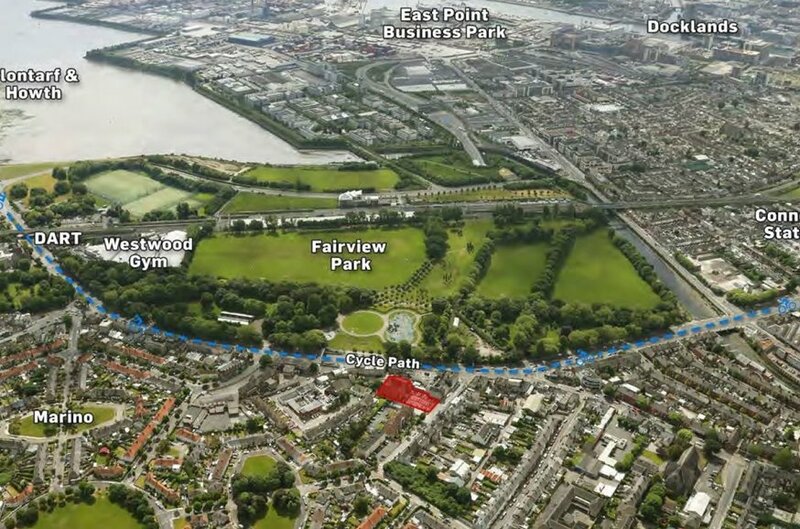 Transport links are good with the DART, on Clontarf Road a short walk away and a very regular bus service to tohe city centre. There is a strong demand but low supply of new homes for both purchase and letting. 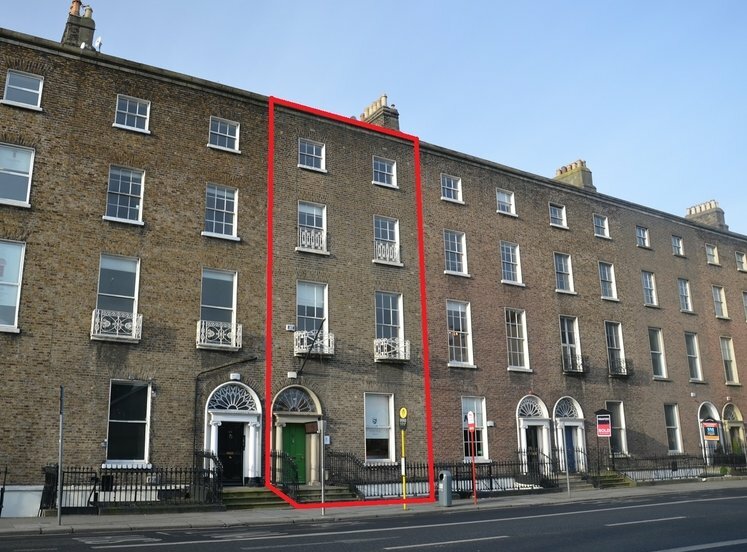 This property is adjacent St. Joseph’s CBS School and only 10 minutes’ walk to East Point Business Park and Croke Park. Marino and Clontarf are close by. The property is a superb development site extending to 0.2 hectares (0.5 acres). It is mainly rectangular with frontage to both Fairview Avenue and Fairview itself. While the main site is cleared it includes two buildings. The property is a superb development site extending to 0.2 hectares (0.5 acres). It is mainly rectangular with frontage to both Fairview Avenue and Fairview itself. 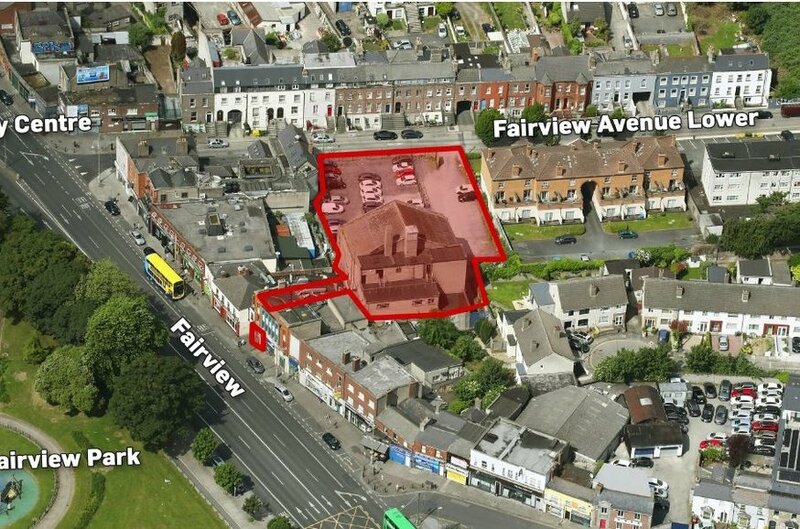 While the main site is cleared it includes two buildings (1) The former cinema building at 18 Fairview which is above and adjacent to the Tesco Express and (2) A brownfield carpark to the rear known as 45, 46, 47, Fairview Avenue Lower. The car park is mostly level and is bounded by retail units to the front façade (south) and residential houses to the rear (north). The property does not include any of the adjoining ground floor Tesco Express. ‘To provide for and improve mixed-services facilities.’ under the Dublin City Development Plan 2016–2022. 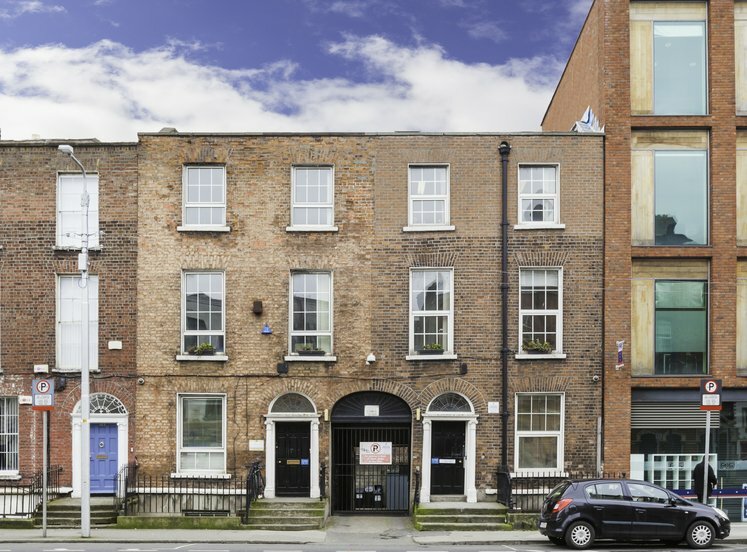 The property is not on the Dublin City Council list of protected structures or their list of additions as at 23/11/2017. Amusement/leisure complex, bed and breakfast, betting office, buildings for the health, safety and welfare of the public; car park, car trading, childcare facility, civic offices, community facility, cultural/recreational building and uses, delicatessen1, education, embassy office, enterprise centre, garden centre, guest house, halting site, home-based economic activity, hostel, hotel, industry (light), live work units, media-associated uses, medical and related consultants, motor sales showroom, office (max. 600 sq m.), off-licence, open space, park and ride facility, part off-licence, petrol station, place of public worship, public house, residential, restaurant, science and technology-based industry, shop (district), shop (neighbourhood), take-away, training centre. Planning permission was previously granted (for the Fairview Avenue part only) in October 2002 for the construction of 23 apartments and 2 no. retail units at ground floor level. 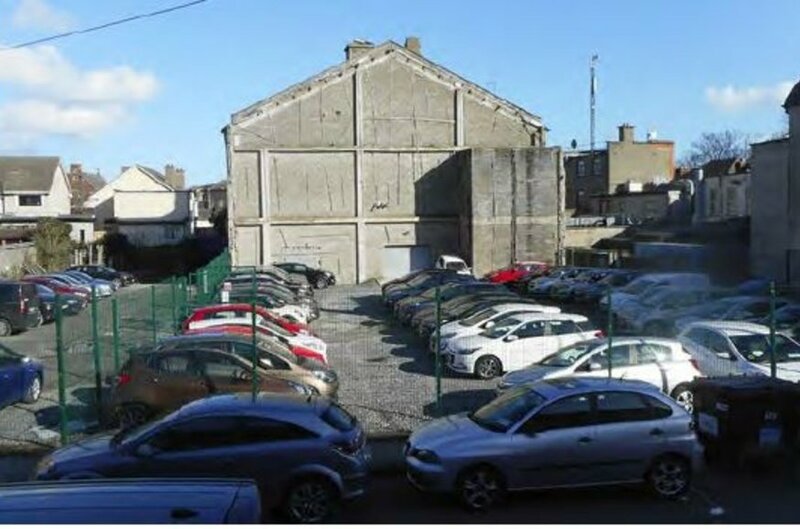 (See Dublin City Council reference 2371/02) for the demolition of the existing building and the erection of 3 and 4 storey mixed development over basement car park, accessed from Lower Fairview Avenue. The apartment specification was for 11 no. one bed, 12 no. two bed apartments. 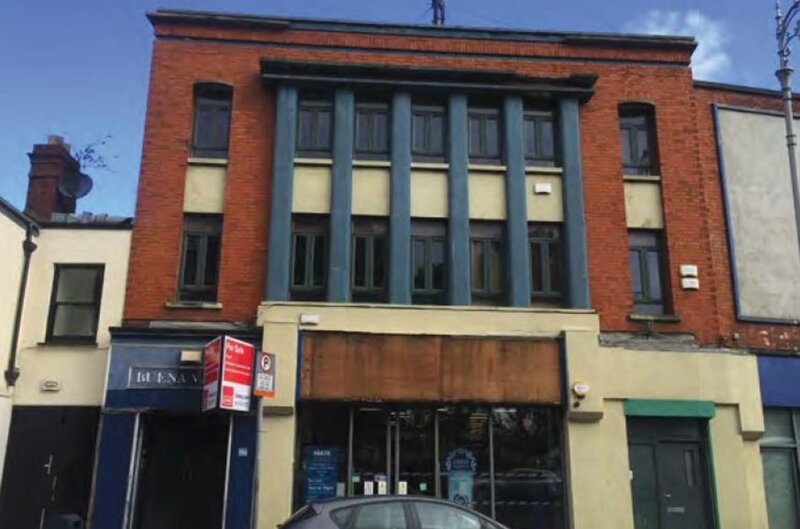 The property is offered for sale by private treaty with the benefit of a short-term income from the on-site building and car park while awaiting planning permission. Further information on request. Part-Freehold. A number of the car parking spaces are held by occupiers under very long leasehold title with the benefit of a right of way access.